Replacing your car with a new one or getting your first ride is an essential purchase, especially if your budget doesn’t leave you much wiggle room. 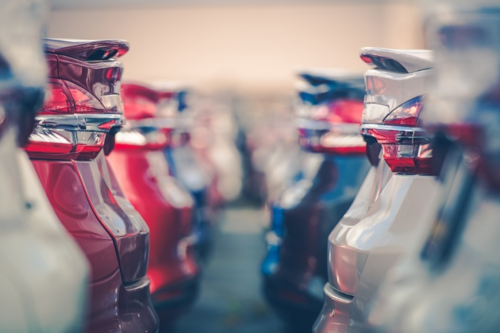 In most cases, buyers have one strict requirement: getting a reasonable price without ending up with a car that’s below their needs and expectations. It can be quite tricky to find something that meets this criterion. Canadian car dealers know how to exploit buyers’ desire of getting a good price on their ride and allure them with incredible deals. However, these offers often come with hidden costs. Buying from a private owner can be even more problematic as they tend to over-evaluate the car or hide costly faults or past accidents. Here are some tips to follow when buying a car from Canadian dealerships. Online research is the best way to begin your hunt for a good car that fits your budget. Check local dealerships to get familiar with their offers and decide what you want and what compromises you are willing to make. The more informed you are, the better you can combat aggressive sales tactics and negotiate a reasonable price. When doing your research, make sure to compare offers from different shops and get an idea of the price range you will play with for the car you want. Once you have a few dealerships on your shortlist, take your time to test the waters and start sending them emails. Or call them, if that makes you more comfortable. Ask about any current offers and promotions for the car model you are interested in, check if it will be available for sale at the date you need it and get as much general information from the dealer as you can. You might come across some pleasant surprises or, on the contrary, notice red flags that you didn’t notice during your online research. Getting to know more than meets the eye about the dealership will also give you more power when it comes to negotiating a good price. So far, we have assumed that you already know what car you want to buy. But if you are not sure yet what would suit you best, let us suggest a perfectly valid way of saving money on your new purchase: buying from the dealer’s stock. This option will give you an advantage and here’s why. The dealer most probably wants to get rid of the Winnipeg used cars taking up space in his car park, so he will be willing to negotiate the price down and make you a good offer. If money weren’t a problem, of course, you would go for the fully-loaded model. But that’s not the point of this article, so here is a highly effective, no-risk method of saving money on your purchase: get the stripped model or something in between. As long as you can add the upgrades later, it’s worth it, and it will save you hundreds, even thousands of dollars. When it comes to the payment method and financial plan the dealer offers, you need to keep your eyes open. The dealer may try to persuade you to accept a deal that’s not good for you on the long-term. Your best option is to pay with cash and avoid any loans. If you can only pay with credit, then choose the plan with the shortest payment term possible. Stay away from “cozy” programs that extend for years, but will keep adding huge interest rate to the initial plan. Keep in mind that an informed customer is a strong customer. Be aware of how the car selling business works and make it work to your advantage. Good luck!